Social Media Marketing is one marketing channel where, if you are not an expert, you can learn as you go along. 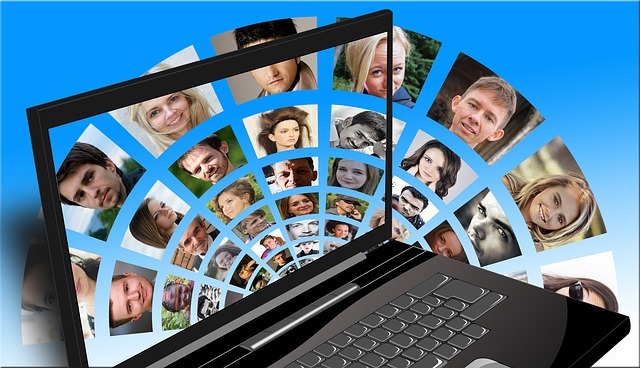 Study what other people do, learn from their experience, read eBooks, attend online courses and local events near you. Social Media is changing continuously and, if your business is on social media, you must keep up with the new changes and develop new skills all the time. There are some principles you must follow to achieve success. Twitter and Facebook are the main two social networks where businesses are present. Together, these platforms have over 2 billion monthly active users. Grab your business name on both networks to make sure that no one else will ever utilize your business name or post bad things under your name. Even if you aren’t ready to begin using the account, you will have your name secured for when you are. There are at least four other social networks where you may consider to be present – LinkedIn, Google+, Instagram and Pinterest. 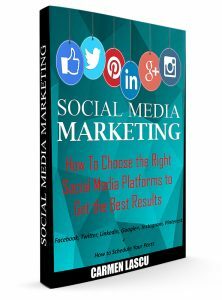 Check-out my latest eBook Social Media Marketing: How to Choose the Right Social Media Platforms to Get the Best Results to find out demographics and pros and cons of using each of the main six social media networks. Just to give you an insight, LinkedIn is the best network for professionals and Business to Business, while Instagram and Pinterest are a must if you own a visual business, like design, architecture, fashion etc. Influencer marketing is a great tool because it lets you share your visitors and followers with another content creator, thereby doubling both of your exposure! Follow and like influencers. Share their updates and mention them in your posts by including their usernames after the symbol @. Your tweet / post will be highlighted for them, and they’ll be likely to retweet it to their followers. If you are on YouTube or use a live streaming platform life Facebook Live, make sure your video titles are eye-catching. The titles are very important when attempting marketing on YouTube. You want it to draw people in and make them want to watch the video. Don’t forget to use keywords that are important to the video in the title, also. Eye-catching titles are equally important on written social media posts to generate traffic to your website or blog. The page that the potential buyer is directed to should be , in general, a blog or a regular website, a social media site or even a page for a product. No matter what you use, keep all content current. You need to make sure that your posts or paid ads link up to content relevant to the keywords used in order to assure that your social media campaign works. Hold regular Facebook contests and promotions. Consumers are always looking for a bargain, and the opportunity to obtain something for free is the best bargain of them all. Contests can get people interested about your brand and attracted to your pages. Contests are also soapboxes from which you can highlight the benefits of your newest offerings, which can make followers intrigued and possibly spend money. There are many tools you can use to organize a contest. I used Rafflecopter which I think it’s the world’s easiest way to run a giveaway online. You can launch and manage your next giveaway in minutes with no coding or I.T. support. Post a freebie or other exciting incentive on every page of your social media marketing accounts. The majority of people like to get free stuff! They’ll be glad to fill out your form and follow you online if they have a good chance of winning something. Let your followers know who won your contest and let them know when the next contest will be. Make sure you track your progress. Good record keeping will give you a view of your Return Of Investment – traffic, engagement and sales. Link these stats to what you do and from there figure out what works the best. Unless you can accurately track results, you cannot identify the success of your social media marketing tactics. HootSuite, Crowdfire and Buffer are some of the apps I use to manage my social media and track performance. I explained these tools in my blog post Top 5 The Best Social Media Management Applications. Google Analytics is also great to find out where your web traffic is coming from. Once you know what you offer (products or services), who is your audience, and a social media campaign to follow through, getting the word out about your business is a lot easier. Once you have the basics down when it comes to social media marketing, you should see increased traffic and profits. This blog post was first published on Boom Share, a storytelling platform from Australia.